Should you learn good grammar? Each writer has a different perspective on how accurate grammar needs to be. Some are sticklers who insist on adhering to the highest standards of the literary order. Others are comfortable taking creative liberties and believe that breaking the rules is an art unto itself and a practice that should be embraced. Me? I’m somewhere in the middle. I believe that a writer who is dedicated to the craft will take the time and invest the energy required to master the most basic tools, grammar being foremost among them. But I also believe there are situations in which it’s best to break the rules — as long as you know which rules you’re breaking and why. 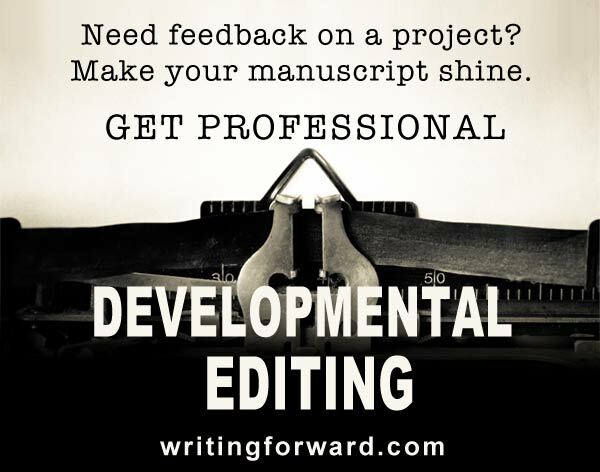 Too many times I’ve heard aspiring writers shrug off grammar, saying they’d rather focus on plot or character, they’d prefer to use a natural, unlearned approach to keep the writing raw, or they will simply hire an editor to do their dirty work. I have a hard time buying into those lines of reasoning. Refusing to bother with grammar is just plain lazy, especially for writers who yearn to be more than hobbyists. If your work is peppered with grammatical mistakes and typos, your readers are going to have a hard time trudging through it. Nothing is more distracting than being yanked out of a good story because a word is misspelled or a punctuation mark is misplaced. You should always respect your readers enough to deliver a product that is enjoyable and easy to use. Some musicians learn to play by ear and never bother learning how to read music. Many of them don’t even know which notes and chords they’re playing, even though they can play a full repertoire of recognizable songs and probably a few of their own. But get them in a room with other musicians and they’ll quickly become isolated. You can’t engage with others in your profession if you don’t speak the language of your industry. Good luck talking shop with writers and editors if you don’t know the parts of speech, the names of punctuation marks, and all the other components of language and writing that are related to good grammar. How will you get that short story, essay, or blog post published if you don’t know the basics of grammar, spelling, and punctuation? Sure, some managing editors will go over your work and clean it up for you, but most reputable publishers have enough submissions that they can toss grammatically weak work into the trash without thinking twice. I love it when writers say they can just hire an editor. This goes back to communication. If you can’t talk shop with other writers, you certainly won’t be able to converse intelligently about your work and its flaws with a professional editor. How will you respond to feedback and revision suggestions or requests when you don’t know what the heck the editor is talking about? Remember, it’s your work. Ultimately, the final version is your call and you won’t be able to approve it if you’re clueless about what’s wrong with it. Speaking of hiring an editor, you should know that editors will only go so far when correcting a manuscript. It’s unseemly to return work to a writer that is solid red with markups. Most freelance editors and proofreaders have a limit to how much they will mark up any given text, so the more grammar mistakes there are, the more surface work the editor will have to do. That means she won’t be able to get into the nitty gritty and make significant changes that take your work from average to superior because she’s breaking a sweat just trying to make it readable. Learning grammar is a way to invest in yourself. You don’t need anything more than a couple of good writing resources and a willingness to take the time necessary to hone your skills. In the beginning, it might be a drag, but eventually, all those grammar rules will become second nature and you will have become a first-rate writer. As a first-rate writer who has mastered good grammar, you will gain respect, credibility, and authority among your peers. People will take you seriously and regard you as a person who is committed to the craft of writing, not just some hack trying to string words together in a haphazard manner. When you’ve taken the time to learn grammar, it becomes second nature. 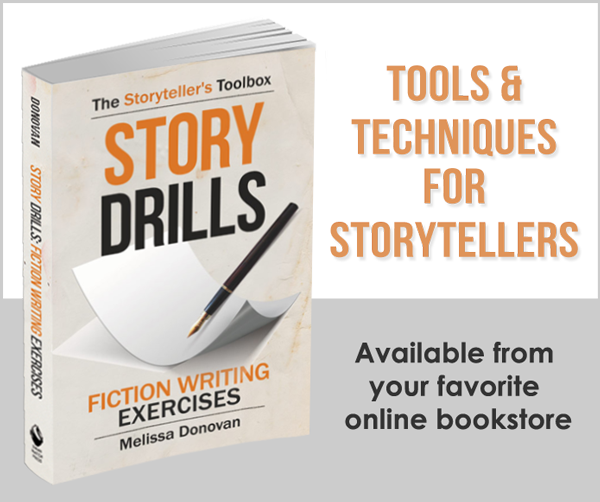 As you write, the words and punctuation marks come naturally because you know what you’re doing; you’ve studied the rules and put in plenty of practice. That means you can focus more of your attention on other aspects of your work, like structure, context, and imagery (to name a few). This leads to better writing all around. Some people don’t have it. They charge through life completely unaware of themselves or the people around them. But most of us possess some sense of self. What sense of self can you have as a writer who doesn’t know proper grammar? That’s like being a carpenter who doesn’t know what a hammer and nails are. It’s almost indecent. There is really only one reason to avoid learning grammar: you’re just plain lazy. Anything else is a silly excuse. Like I said, I’m all for breaking the rules when doing so makes the work better, but how can you break rules effectively if you don’t know what the rules are? No matter what trade, craft, or career you’re pursuing, it all starts with learning the basics. Actors learn how to read scripts. Scientists learn how to apply the scientific method. Politicians learn how to… well, never mind what politicians do. We are writers. We must learn how to write well, and writing well definitely requires using good grammar. Share your favorite reasons why writers should embrace good grammar by leaving a comment. Feel free to recommend useful writing resources and grammar guides. And keep writing! Amen. I’m somewhere in the middle, too. I think it’s important to KNOW the rules because then you can make an educated decision as to which you choose to ignore. Just like when I cook–if at all possible, I follow a recipe as written the first time I make it, to find out what it’s SUPPOSED to be. After that? I’ll leave things out, add things in, make substitutions … do what I want to make it mine. But, you need the base line of what it should be first … or how can you make educated decisions? I do the same thing with recipes. It’s always good to have a foundation (the rules). Hi Melissa – This reminds me of the Stephen King video you linked to on here. Writers need to read a lot, to learn what good grammar looks like. The problem is, if most of that reading is done on the Internet, they get used to seeing bad writing. I still make a lot of mistakes. I use Strunk and White but sometimes I’m too lazy to grab it off the shelf. Yes, I think it’s important to read offline or to be conscious about the material you’re reading online. There is definitely a lot of bad grammar on the web! The first thing that came to my mind when I read the title was the readability issue, which you have listed here as the first reason. It would be really frustrating for the readers if the grammar issues keep getting in the way of the story or messages. The writers must remove these road blocks for the readers if they want to take the readers to a different place. Yep. I catch typos and other mistakes occasionally when I’m reading a book and it always pulls me out of the story because I have to stop and check it a few times. Then I kind of giggle because I caught one that slipped past the editor! It definitely happens more frequently online. I don’t think very much material on the web, especially on blogs, goes through an editorial process. Fundamentally the premise is sound. However it does presume the use of good grammar is recognised by the reader. Bad grammar is increasingly common. Appalling grammar is heard in everyday speech, presumably the same mistakes are made in the written word, thus doesn’t the question of correct grammar depend upon which end of the market the piece is aimed at? What seems to writers to be grammatically correct may leap off the page as sounding completely wrong to a reader who habitually uses poor grammar. No editor ever applauded a writer for being grammatically incorrect – any writer should use accepted English spelling and grammar. Well, I’m not sure what field you’d be in if you were intentionally writing poorly for an audience that lacks grammar skills. I don’t like the idea of pandering to the least common denominator. I suppose there are instances when readers who don’t know proper grammar assume that a well written piece is wrong just because it’s not constructed the way they would speak or write, but again, I don’t know why a writer would write for an audience such as that. I suppose one could argue that an ESL audience wouldn’t have a good grasp on English grammar, but being lazy in writing for the ESL audience for that reason only impedes the audience from engaging with properly composed work, and that’s a pretty grave disservice to one’s readers. The argument you’re proposing seems to be “Well, the readers don’t know good grammar anyway.” I just think that line of reasoning is presumptuous and unjustified and possibly unethical. Amen. You made me remember an interview with Salvador Dalí I saw some time ago. He was asked if, as a surrealist painter, he considered anatomy an important discipline (seemingly, human anatomy is one of the hardest subjects for an art student). He replied something of the kind: that not learning anatomy was not a sign of genius but a sign of laziness. I think the same is true for the realm of words: you have to know the rules before you can break them. Otherwise you’re like the musician who plays wrong the song that everybody knows and defends himself saying that it was a “creative” (ahem) version. Thanks, Nacho. I agree. I like the story you shared about Salvador Dali because it shows that no matter what creative field you pursue, there are certain things you simply have to learn, and they’re not all fun and creative. (Also, I’m a Dali fan.) There’s nothing wrong with having a lackadaisical approach to something if it’s just a hobby, but if you want to make a career out of it, I really think it’s essential to build your skills. I am going to take this one more step by asserting that everyone should learn good grammar. Your natural language is a part of your identity and heritage, and it is difficult to comprehend why you not want to have command of your own language. I cannot speak to other countries, but I am appalled by native US citizens who offer excuses such as “I never liked English,” or “I’m not a good speller.” We have become far too cavalier about our language and I’d love to see a return to at least a basic grasp of grammar. Here in the U.S., I swear there’s a wave of “I have no talent for that” excuses. These days, everyone seems to think “you either have it or you don’t.” People make comments like that about everything from the arts to mechanical or technical skills. I call BS! If you want to learn something, you learn it. If you want to be good or great, then you practice. That’s all there is to it. I agree with you that ideally, everyone would learn good grammar, but unfortunately, it’s not likely to happen anytime soon. I don’t know what’s going on in our country, but there really is no pride or respect in being knowledgeable or educated, which I find completely bizarre. I agree. Mistakes (perhaps in dialogue or first person) ought to be deliberate. Unintentional errors are just embarrassing and shoddy. I find I go from liking to loving my novels when I edit them. Yes, I’m always embarrassed when I discover an unintentional mistake. It happens sometimes here, on my blog. I’ll find a typo and get all upset about it. On the other hand, I get kind of excited when I break the rules on purpose and it makes my writing pop. Wonder if Bloom would ackle or hackle or cackle or..? You sure reason #11 ain’t hidden in there? Personally speaking my dear, I found your article somewhat “limiting,” shall I say? I think you are referring to the technique of “writing in dialect” which is not using bad grammar. I mainly wanted to tell you I absolutely LOVE your website! I love the colors, the accessibility… My first reaction was to bookmark it to return easily when I have lots of time to read. If your advice is half as gripping, I might never leave. Wow, thanks so much for your kind words. I’m glad you like the site and I hope you do find the articles as engaging as the design. Thanks again! Readability. I hear all of the reasons but especially that one! I will just stop reading if the author has obviously failed to take the time to fix obvious gaffs. Don’t bother helping me, the reader. I’m just gone! Yes, I agree. I don’t mind an honest mistake now and then. It happens to all of us! But when it’s obvious the writer just doesn’t care enough to learn the basics or to proofread, why should I care enough to read it? Thank you very much for a list that does much more than just reach a predetermined number of items. I’ve been saying at least 8 of these reasons for years and years, and it’s all I can do not to just swipe this thing. I’m gonna link to it on my Facebook page. Thanks, Micheal. I almost stopped at eight, but two more ideas came to me and I ended up with ten. I’ve been a submissions reader for a small press. Nothing will get a recommendation to reject faster than bad grammar. I can forgive it if it is a character trait (ala Huckleberry Finn), but in narrative it is death to getting a publisher to ask for more. I always figure that anything you can do to improve your chances in a highly competitive field is worth doing. Thanks for giving us some insider insight. What a great article. I wholly agree with all the points. Some people don’t like grammar because they say grammar doesn’t agree with their “creativity.” Thing is, they don’t know that we can and should break some grammar rules, but we should know why we broke them. Intentionally making grammatical errors immediately gives away the fact that you are an amateur. However, grammar isn’t a must in every writing. Dialogue for example, rarely uses perfect and formal sounding grammar, simply because we must write how the character talks. And then there is poetry. I have read poetry which is excellent and grammatically correct, but I have also read poetry which isn’t. It depends on the content itself, rather than the grammar in that form. Otherwise, good writing has to be grammatically correct. 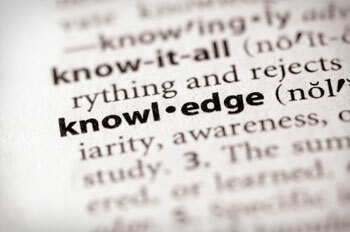 The #1 reason is simply that it increases readability! Poetry is a constant exception in the world of writing, probably because it’s the most artistic form. It’s also the most magical, and many new turns of phrase are born through poetry, which is one of the many reasons I love it so much. So, we definitely have to be flexible with the rules when dealing with poems and poets. You make a good point about poor grammar giving away one’s status as an amateur. Sometimes worrying about grammar can stop a writer from putting his or her work out there. Grammar is important, but it can get in the way of writing. Online writing is suppose to be a conversation , with small paragraphs and a structure very different from print – just like design is different from web to print. I would rather have the writer start the conversation rather than worry so much about grammar. Once the writer is engaged in the writing process for a while – then begin working on the grammar. But not so much that the natural flow of the Internet conversation is inhibited. I am in full agreement with Michelle Pierce’s “Three Grammar Rules to Break.” However, I’m not so sure that grammar gets in the way of writing. I think grammar makes writing easier. Once you learn grammar basics, you don’t stop so much to wonder if your sentences are structured properly or if you’re using words and punctuation marks correctly. In fact, I find that the more I learn about grammar, the easier it is for me to write. Of course, there is a learning curve in the beginning, and I think when working through a first (rough) draft, it’s not necessary to pay much heed to technicalities (just get it written! ), but I’m always wary of arguments against learning good grammar, even though some of them make sense on the surface. I would also add that some grammar reference books are a bit archaic. There are times when writing should be modern, conversational, casual, and widely accessible. That’s when we might bend or break the (dated) rules to avoid sounding like eighteenth-century literary snobs. Grammar is important to know; it makes things simpler. But history is essential. We should also know why we write a certain way because grammar serves language, not the other way around. If you just write, then knowing the rules is good enough; but if you are a writer, you should know the rules to add to the language. No great anybody mindlessly practiced whatever they did. Thanks for your two cents – they were definitely worth sharing. Good food for thought. I get annoyed when I see poor grammar and spelling mistakes on websites. I’m a web designer, who works on a lot of different websites mainly for corporate and commercial companies, I never write the body copy for the websites because I know my English ain’t up to scratch. We have trained professionals who do the content writing and do a far better job than I could. I think to engage with your audience successfully you have to have the right tone of voice and clear concise break downs of what you do and can do for your clients. There is no more for in-proper English. Rory, I couldn’t agree more! Once learnt using the correct grammer can help with the understanding of a langauge and speed up learning and communication. I get annoyed when I see poor grammer too, but some people may not have been taught properly or it may have been an oversight. That’s true. Everyone makes mistakes and not everyone has had the opportunity to learn good grammar, which is why I always point out that reading, writing, and grammar are not indicators of one’s intelligence. My mom has taught us to speak properly. Unfortunately for us, it causes to have an attuned ear to spoken grammar. Forgive me, but I hope you used ‘once learnt’ to make a grammatical point. Isn’t it supposed to be “I once learned”? Or perhaps its a way of speaking that I’m just not familiar with. And for me to get back on topic of the discussion, I personally watch my grammar as I type my books. It is a large part for me. Naturally, I will allow for characteristic grammatical errors. However, I would like to get an opinion: Is it considered socially acceptable to use broken. Up. Sentences? In a narrative? As in, first person, present tense? Like what I’m doing right now to show my (Character’s) thought process? I personally think that it adds to the first person character. But I want professional advice on that. In America, we use “learned.” However, in Britain, they use “learnt,” so it is definitely correct and acceptable. In first-person narrative, I think it’s acceptable to use broken-up sentences, but I would suggest doing so with great caution and to be selective about where to place the breaks. In that style, it’s easy to start using periods and commas to indicate speech patterns or to show where the character pauses and places emphasis in his or her speech. I would avoid doing that and instead focus on parsing the narrative into fragments. We do speak and think in fragments, so this style can lend a realistic edge to the writing. My suggestion would be to write a full chapter and then show it around to some friends who are well read and get their feedback on how it’s working. Hi, Melissa. Great post! I think you’ve covered just about every reason. I don’t know about other people here, but I even find myself making sure I’m grammatically correct in text messages. To me, it’s all kind of a Zen practice in discipline and focus. Thanks! I do the same thing with text messages! Thank you, Melissa, for this very important post. It really saddens me to see our beautiful language, in all its subsets, mangled by ill-use. I have to try hard not to tear at what little remains of my hair when I see, once agin, the verbs ‘to lie’ and ‘to lay’ used incorrectly! Grammar used to be a basic part of an English education, even in state schools; some were even known as ‘Grammar Schools’ but that is getting away from the point of your post and my comment. It seems to me that, if you want to make anything worthwhile, you must start with the finest materials you can find and use the best tools available. As you say, there is no causal connection between intelligence and proper grammar but anyone who aspires to be a writer should, in fact must, avail herself of the basics to become one. Thank you once again for your interesting and insightful blog on the wonderful language we share – in all its variety! Thanks for sharing your thoughts, opsimath. I find the lack of education in the language arts disappointing and the lack of interest in learning how to write properly a little annoying. I completely agree, Melissa. I used to be apathetic about my poor grammar until I decided to write professionally and teach other how to write. It was then that I not only got the hang of basic grammar, but I actually enjoyed grammar. I used to think grammar was so boring in comparison to other aspects of writing, but it one in the same. I was the same way. I couldn’t be bothered with it when I was younger, but the older I got, the more interested I became. I’m thankful that I find the study of grammar compelling! Yes Melissa, there’s nothing that puts one off while reading a write up, than errors in grammar. You’ll see me nod to a good blend of grammar. Thanks for this topic.